Barnard 151 is near the top center of the image. Barnard 360 is below 151. Barnard 359 is below 360. 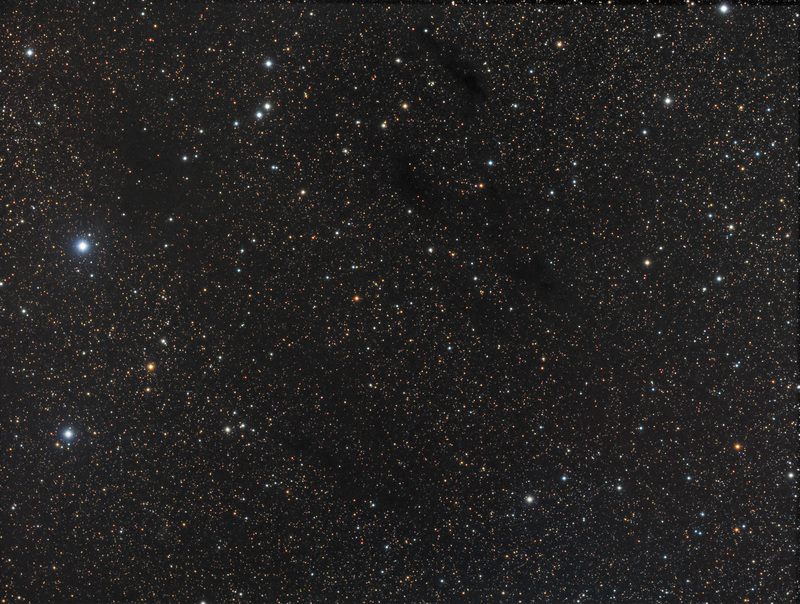 All of these along with various Lynds Dark Nebulae are located in Cepheus. See the annotated version for the locations. Imaged from Dardenne Prairie, Missouri (a red zone - http://www.bigskyastroclub.org/lp_bortle.html) on October 8th and November 8th and 9th, 2017 with a SBIG ST-8300M on an Astro-Tech AT90DT at f/6.7 603mm.